Turning from the antennas and cables of its telco business to the world of credit cards and savings accounts, Orange has set its sights on becoming a major European bank. After introducing its inaugural banking service to France about a year ago, the French telecom incumbent is poised for bank raids in Romania and Spain in 2019. In total, seven countries in Europe will feature an Orange Bank service by 2023, under plans revealed late Friday. 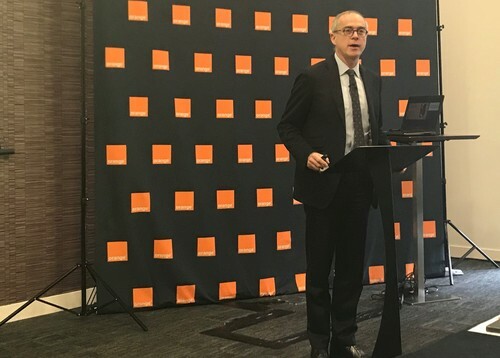 The operator has set itself a target of having some 4 million Orange Bank customers across Europe within six years, by which time the operator plans to be generating €500 million ($567 million) in net banking income (NBI). Other than the convenience of buying more household services from a single provider, what can Orange offer that a traditional bank cannot? The telco's broad strategy is not to develop entirely new banking products but to improve what is already there. Technology is a critical part of this makeover. Orange's mobile app scored higher than any rival service during a recent third-party survey, according to executives. A misplaced credit card can be cancelled with a touch, says Ramon Fernandez, Orange's chief financial officer, and reactivated just as easily if found. Bank customers normally wait 48 hours to see the details of a transaction: With Orange's app, those show up instantly.